I recently spent several years of American Express points on a Vitamix Pro 750! I’ve been curious about high powered blenders (eg. Vitamix, Blendtec) since I started working with cashew purees and cultured vegan cheese. The recipes call for blenders, and my food processor wasn’t quite cutting it. I’ve also noticed that people rave about high powered blenders on vegan forums. High powered blenders made the PPK 100 list a year ago, and at the first vegan event I went to (a Grubwithus dinner), 5 of the 6 people I asked had one and recommended them. 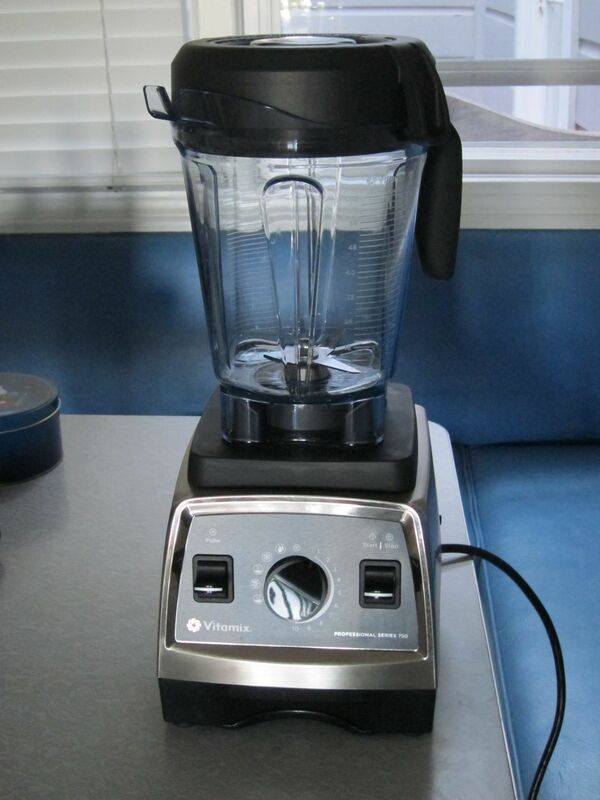 High-powered blenders process harder substances more effectively than normal blenders. You can make flour from whole grains, for instance, and you don’t have to chop or remove seeds from fruit. They can also make hot soup, using friction from blending alone to heat the ingredients. 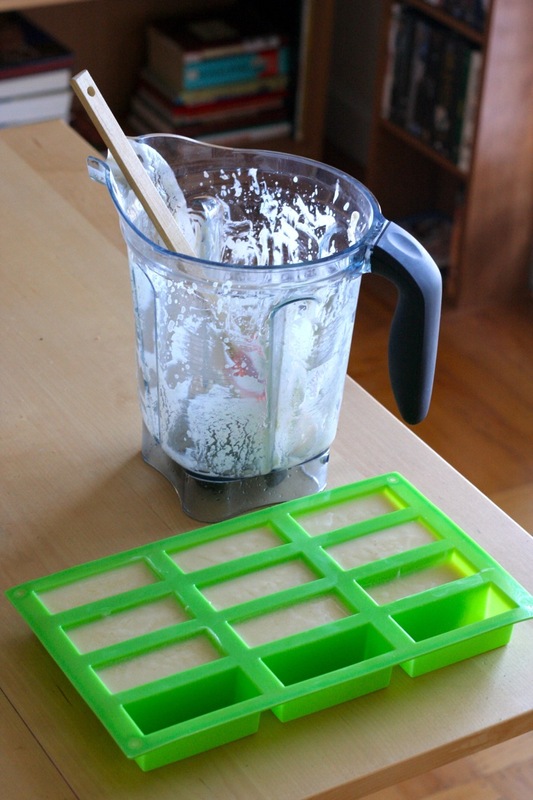 The new containers are much easier to get stuff out of, compared to classic Vitamix models. They are wide, shorter, and don’t narrow substantially at the base. Most reviewers prefer the manual control offered by Vitamix, compared to Blendtec’s manual control options. Blendtec’s programs are great, but users often report having to repeat programs to completely blend. It’s nice to have a tamper for when you need it (eg. making almond butter). It’s nice to have program options, in case those wind up being useful. That said, both Vitamix and Blendtec users rave about their mixers, so I don’t think there’s a wrong choice here. I splurged on the Pro 750 since I was using points. Having used it, I think that the program settings are probably not too important. You really want to be nearby when using it anyway. There are pros and cons to the new style containers. One drawback is that they work best when blending a large amount of food, since smaller amounts may hide under the blades. Since the old style containers are narrow at the base, this is likely less of a problem. I’ve heard only positive reviews of the reconditioned models, so a refurbished 7500 or Pro 300 might be a good choice for the (somewhat) budget conscious. This entry was posted in Review and tagged Blender, Vitamix on January 15, 2014 by Ed Pizzi. On a trip to Seattle this week I stopped by Vegan Haven, a market operated by Pigs Peace Sanctuary. San Francisco doesn’t have a vegan market (yet? ), which makes it hard to get weird vegan stuff *, such as the handful of cultured vegan cheeses that have come out in the last year or so. I’d heard a lot about these cheeses, but had only tried the ones that I’ve made myself. Cultured vegan cheese is made by fermenting vegan foods (usually nuts, although sometimes soy) using a similar process used to make dairy cheese. 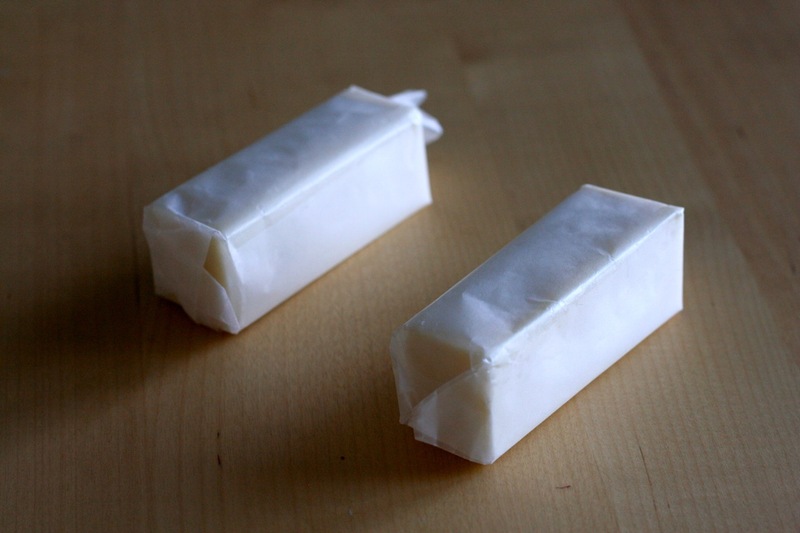 This differs from the type of imitation cheese typically found at grocery stores (eg. Daiya) in that a real culturing process was used to give it a cheese-like taste, rather than synthetic flavoring or texturing. 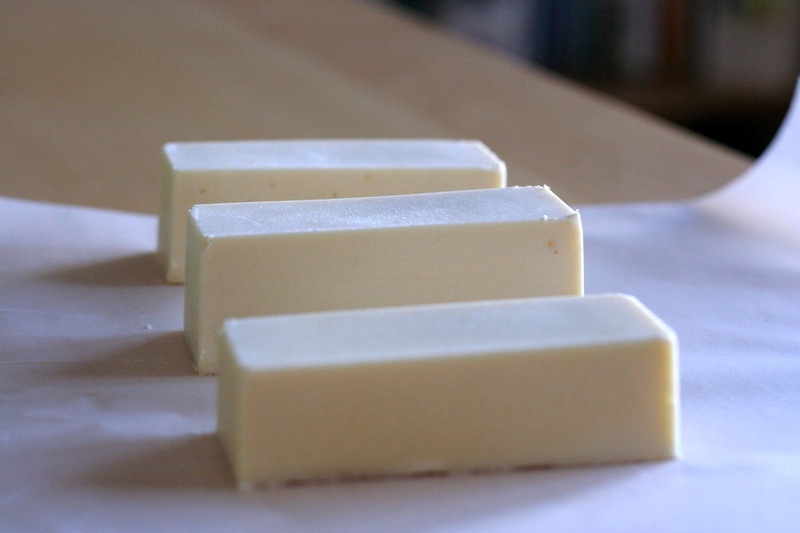 Cultured vegan cheese typically has few ingredients (the plain cheese below lists ingredients as: “organic cashews, water, culture, sea salt”), and does not typically attempt to imitate the texture of dairy cheese. 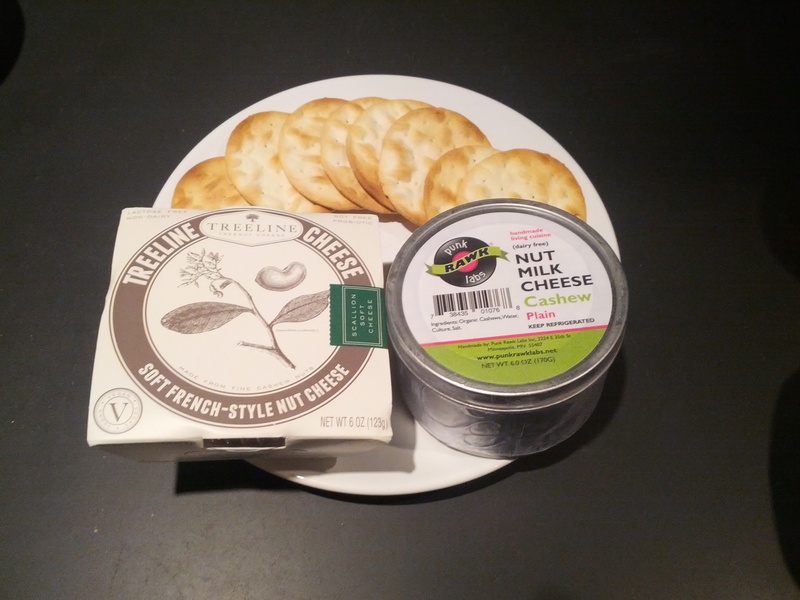 Vegan Haven had cultured cheeses available from two companies: Punk Rawk Labs and Treeline. Punk Rawk Labs is a Minneapolis raw food company that makes cashew and macadamia nut cheeses in three flavors: plain, herb and smoked. 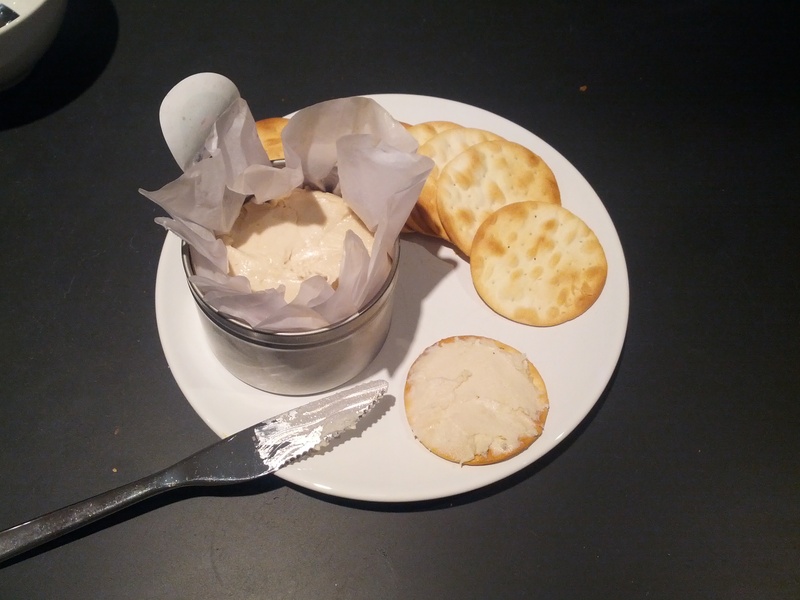 I tried the plain cashew cheese, since this was closest to what I’ve tried to make. Treeline is based in the Hudson River Valley in upstate NY. They make two soft cheeses: scallion and herb-garlic, and two hard cheeses: classic and cracked pepper. I’d have preferred a plain flavor, but only the scallion and herb-garlic flavors were available, so I tried the scallion cheese. First, I tried the Punk Rawk Labs cheese. It had a moist texture, hard enough that you could cut wedges out more or less intact, but soft enough to be spread on a cracker. I found the cheese to have a pleasant sharpness, and a saltiness that I think would be comparable to cheddar. I really enjoyed this cheese, and finished it in the two days we had left in Seattle. The Treeline cheese had a similar consistency, although was slightly drier. The taste seemed to be dominated by scallions, which made it hard to taste anything else. I never had much scallion dairy cheese, so I don’t have a good baseline for comparison. The cheese tasted less salty and less sharp than the Punk Rawk Labs cheese. I liked the Punk Rawk Labs cheese a lot, and found myself craving it over the next few days. I preferred it to the Treeline cheese, partly because I prefer plain cheese over scallion flavored cheese, but I also liked the moist, sharp and salty qualities of the Punk Rawk Labs cheese. I’d love to try other Treeline flavors in the future, although I don’t foresee getting the scallion flavor again. I’m curious if they salt the cheese after it is cultured, since it’s rather salty and salt is said to inhibit bacterial growth. Punk Rawk Labs describes their process as culturing cashew milk and then removing moisture from the cheese, whereas the Artisan Vegan Cheese recipes involve culturing a cashew puree (a hummus-like consistency). I’m curious if this explains the difference in sharpness. 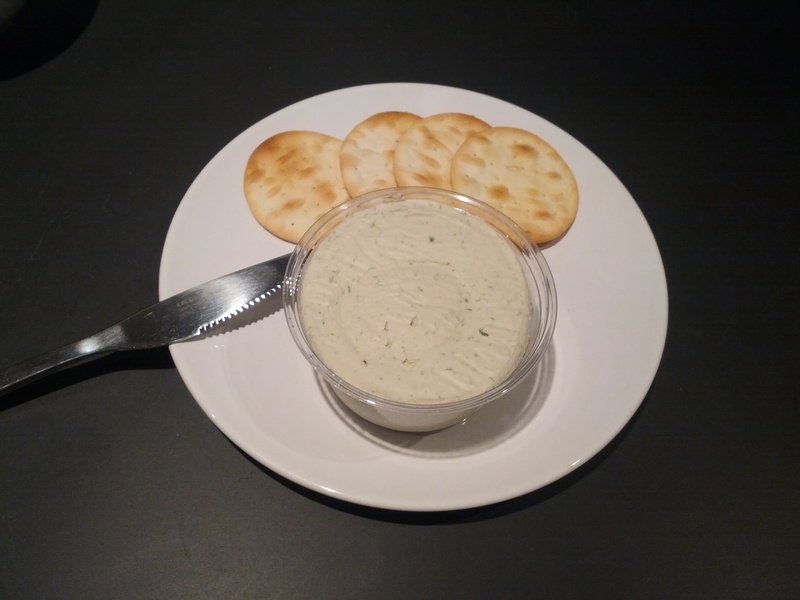 Overall, I was very happy with my first taste of commercial cultured vegan cheeses, and I’m inspired to try making them again. * While looking up these companies for this post, I’ve learned that both Punk Rawk Labs and Treeline cheeses are available in SF at Rainbow Grocery, a great vegetarian food coop with a great selection of vegan paraphernalia (non-dairy milks, vegan supplements, etc). This entry was posted in Review and tagged review, vegan, vegan cheese on September 14, 2013 by Ed Pizzi.